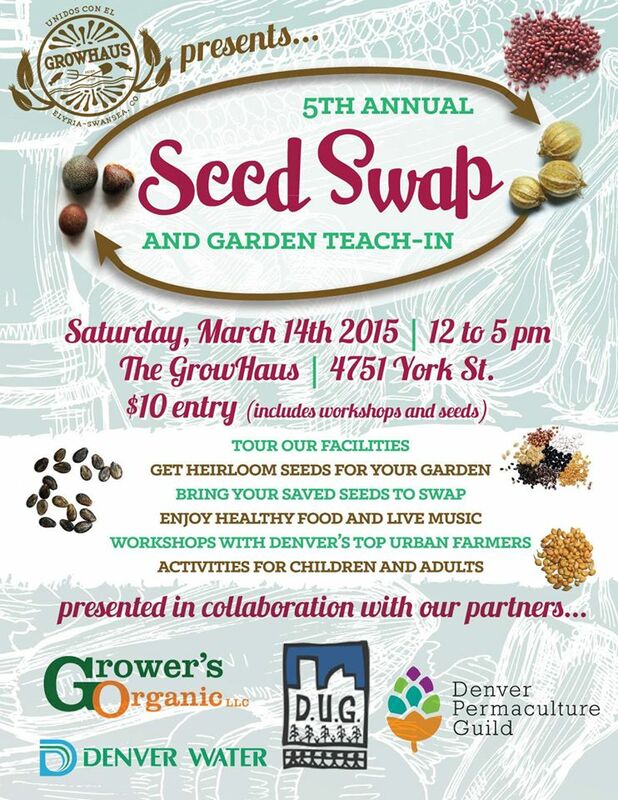 On March 14, come to The GrowHaus to celebrate spring and get your seeds at our fifth annual Seed Swap! In addition to providing dozens of locally-adapted GMO-free seed varieties, we’ll be hosting gardening workshops, live music, and food sold by residents of our community! 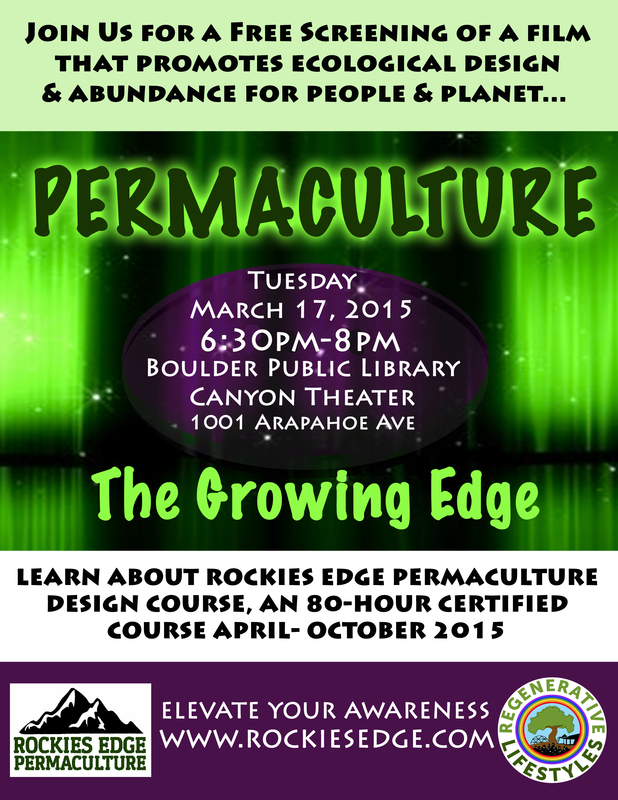 Have you had your “Aha Moment” with Permaculture? Come to The Four Corners and experience your next Epiphany that will change your perspective and energize everything you do! In the process experience 2 days of workshops/seminars/demonstrations/roundtables that will have you well on your way to homesteading (urban or otherwise) bliss. Enjoy great company, exotic food, and classic rock and roll while marveling at the prospect that some of the world’s foremost Permaculture experts are making plans to turn the biggest brown spot on the map of the US (The Four Corners Region) into an oasis of abundance. …and then realize that you can start the same process right in your backyard! See the Convergence Page for more information and keep checking as the schedule updates! Download the flyer and pass it around, hang it up at work and forward to others who may be interested. See the Convergence Page for all the details and keep checking back! The schedule for The Convergence is still being refined and speakers confirmed. We expect to have a line up of top practitioners in their respective fields to provide valuable understanding of a wide variety of ways to bring about abundance in any environment or setting—small or large. Check the schedule to insure that you can plan to attend the offerings that are most meaningful to you and to also insure that you register for any of the offerings which might have limited enrollment. 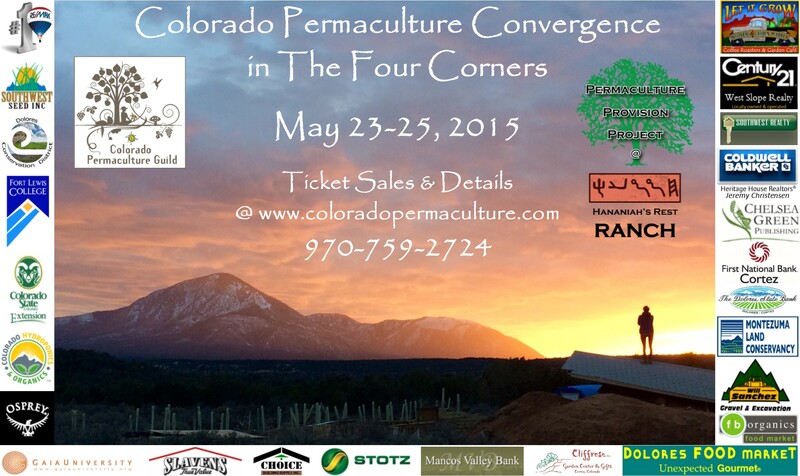 Attend the 2015 Colorado Permaculture Convergence, May 23-25! 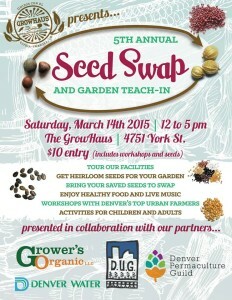 Come out and enjoy a day of seed and story swapping, educational panels and garden-related crafts for the little ones! 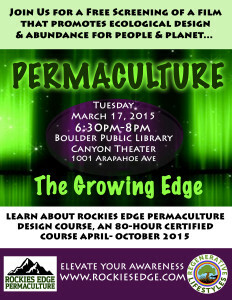 & Rockies Edge will deliver panels on an introduction to Permaculture, building soils, efficient watering, starting seeds, companion planting and preparing for the growing season. & Ross Rodgers of Sacred Life Seeds will share a panel on seed-saving techniques and information on how to get involved with his seed library project! & The Urban Farm Co will have a mini garden on wheels and information about their offerings. & Raffle for Inoculated Mushroom Logs and a Start-up Forest Garden!! !